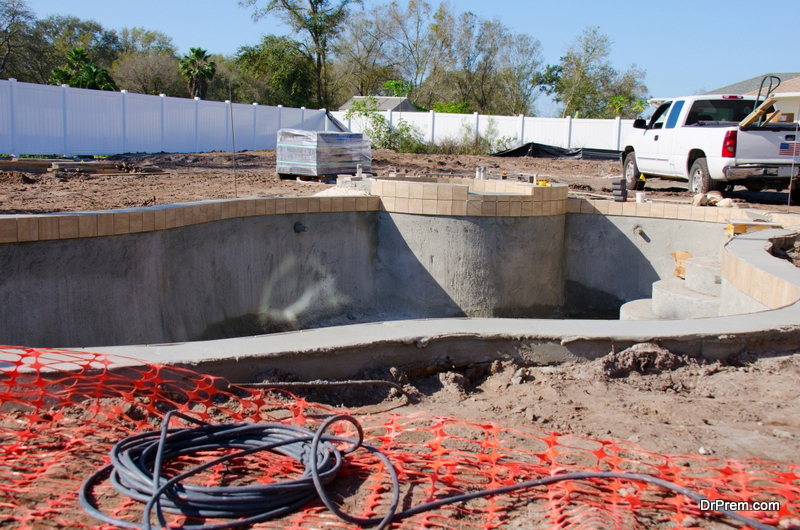 Standard in-ground pools involve basic concrete surrounds and descending depth. They’re often square or round to fit the size of the yard. However, you don’t have to be bogged down by the conventions of a standard pool. Create your own, customized swimming pool. Work with a swimming pool designer to fashion the perfect size, shape, and design for this new backyard feature. You can also choose from a variety of tile and concrete options, surrounds, railings, colors, and accessories. This allows you to make the swimming pool the aesthetic, comfortable focus of your backyard. A pool addition will virtually take over your yard. 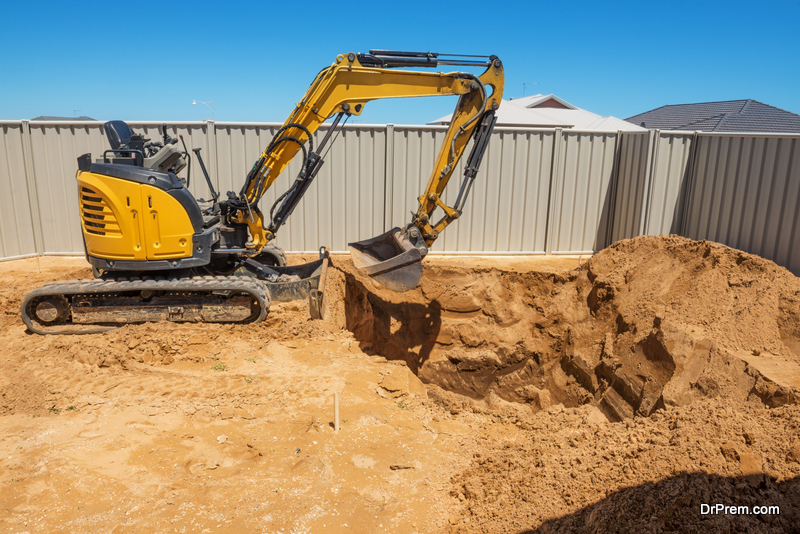 You’ll have dump trucks and excavators driving in and out, and there will be a flow of construction traffic for several weeks while they work on your pool. You might feel like you have to be there at all times to supervise their work, which can be somewhat overwhelming. Choose a time that’s convenient for you. Try to work it into the early spring before your kids get out of school and create more chaos around the house. You might also consider planning a vacation during that time to get away from the mess. 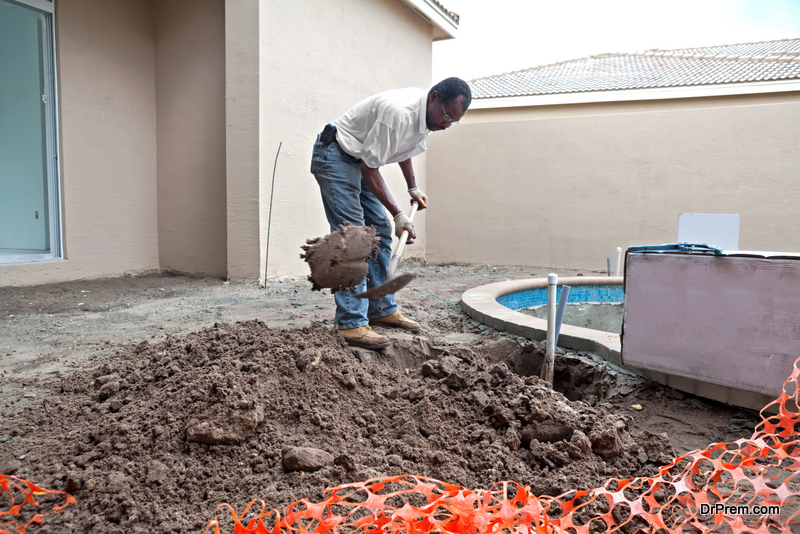 If there’s one thing you should be prepared for when installing an in-ground pool, it’s the mess. Workers will tear up your backyard, and you’ll have to pretty much re-landscape the entire area. Use this time to exercise creativity and install some of the features you’ve always wanted in your yard. Browse through hardscaping options, water features to go along with your pool, shrubberies and flowers to plant along the edges, and new sod. While you’re at it, consider having the contractors pour concrete for a patio if you don’t already have one. It’s much easier to do this at the same time. The worst thing you can do is use a shoddy contractor to install your pool. Unless you go with a reputable name, you could end up with an improper installation or a half-finished job. The last thing you want is for your pool bottom to crack within a year of installation because you didn’t screen your contractor thoroughly. Ask around for reliable names of pool contractors in your area. If you don’t know anyone with a pool, reach out to your local hardware store for recommendations or search for reviews online. Always get a few quotes to compare and contrast your options. Prepare a series of questions to ask your contractor before hiring them. You might ask for their years of experience, references to past projects, the types of products they use, their workmanship warranty, their typical contract agreement, their installation practices, their typical timeframe, and more. Remember that most pool contractors will also hire subcontractors to help them complete the job. Ask for the names of those subcontractors and look up their reputation as well. A pool is an expensive addition, and you won’t necessarily get a return on that investment when you sell your home. In most places, a pool doesn’t add a lot of value, so don’t expect to make back what you put into it. That’s why it’s important not to overspend. 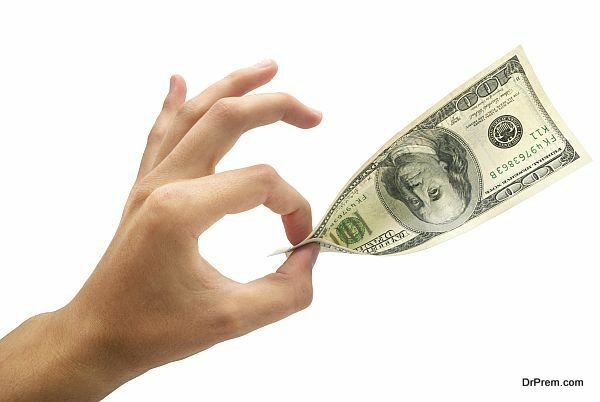 Setting a budget will allow you to get more for your money. You could spend hundreds of thousands of dollars on the many different features and technologies available for backyard, in-ground pools. However, there are often more affordable options for your pool, and setting your budget ahead of time will help you select features and finishes that match within your budget. Installing a pool can be a long, complicated process, but it’s something you and your family can enjoy for years to come.